2017 Chris Craft 22 LAUNCH Small, spacious and stylish, the Launch 22 is made for watersports of all kinds. Accommodating a group of up to 8 passengers, the Launch combines incredible Chris-Craft details with quick acceleration and agile handling. A wide, flared hull creates the space for a large U-shaped bow pit, and a 3-person aft bench makes it ideal for socializing, sunbathing and relaxing. 2017 Chris-Craft 22 LAUNCH New arrival! 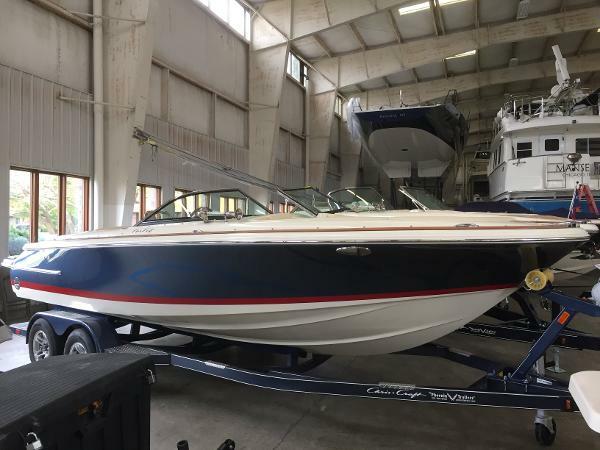 2017 Chris-Craft 22 Launch powered by a Mercruiser 6.2 MPI (300 hp) with a midnight blue/red painted hull. 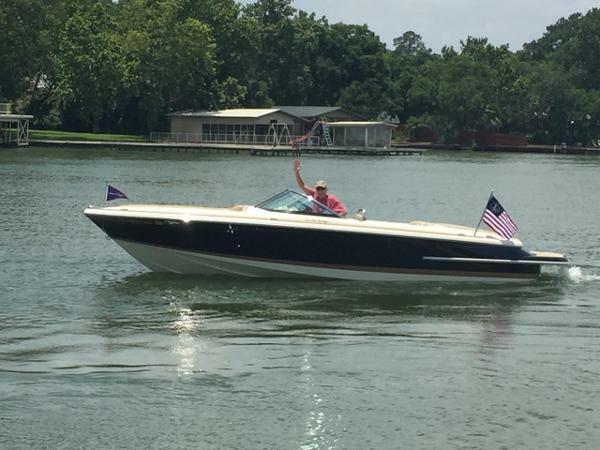 Other notable options include selectable exhaust, LED docking lights, cockpit carpet, cockpit and bow covers, dual batteries, Sirius satellite radio and trim tabs. 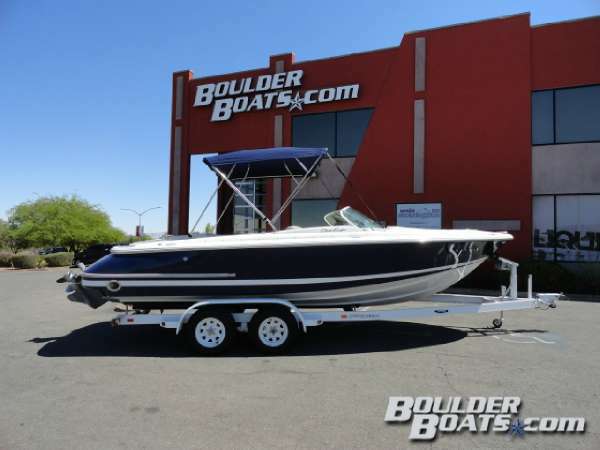 This boat is available now, so call today to reserve this boat for your family! 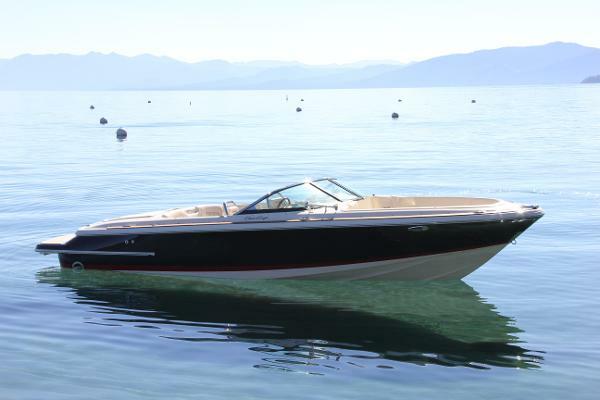 2016 Chris-Craft 22 LAUNCH At Tahoe now! 2016 Chris-Craft 22 Launch powered by the all-new Mercruiser 6.2L-350hp with a midnight blue/red painted hull. 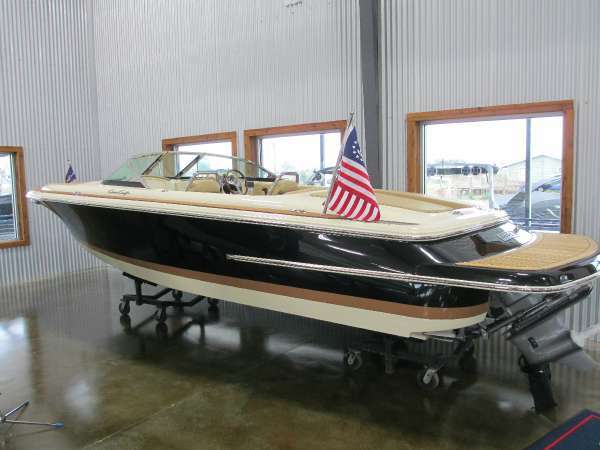 Other notable options include Heritage Trim Edition, DTS system with integrated gauges, selectable exhaust, cockpit carpet, cockpit and bow covers, dual batteries, Sirius satellite radio and trim tabs. Standard for 2016 is a Bluetooth stereo! 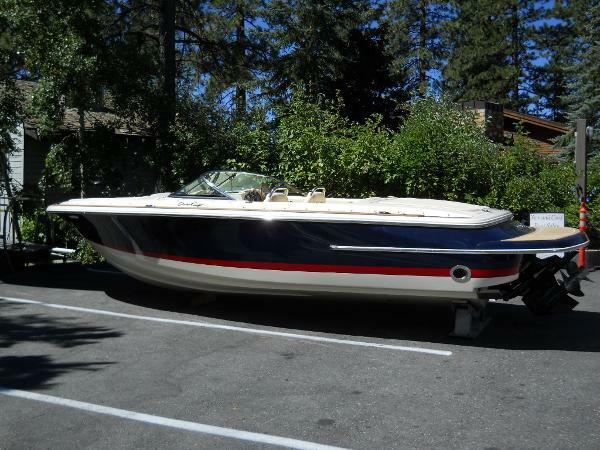 This boat is currently at Tahoe, please call today to reserve this boat for your family! Chris-Craft is built out through the Fall on new orders as of now, there will be very few available new boats this summer! Special mid-summer pricing!